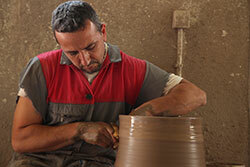 The art of ceramics is a 12.000 years tradition that passes from generation to generation. 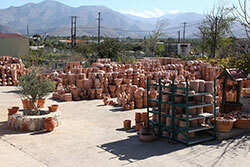 Our ceramics are exported since 1989 to the most of Worldwide countries. 100% Ecological. 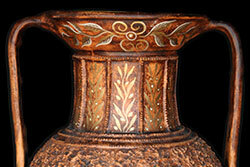 The art of pottery is well represented, from the past up to today, by ARAVIAKIS family. The three elements of nature when used properly give a perfect score. Cretan Ceramics! 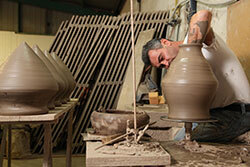 Our ceramics are ready to decorate your homes and gardens with quality guarantee of Andonis Araviakis.